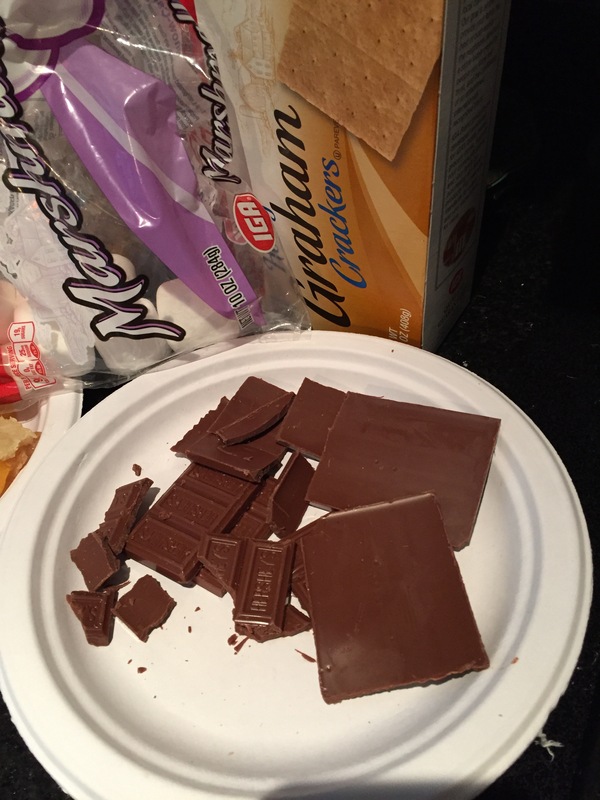 We had some friends over last night and decided it would be fun to make S’mores — that delectable campfire combination of toasted marshmallow, Hershey’s chocolate and graham crackers. They were a great success — who doesn’t like S’mores? — and no one got skewered by a toasting stick, either. You learn a lot about people when you see them make S’mores. Some carefully find a spot in the fire where they can safely toast their marshmallow to brown, bubbling, yet unblackened perfection. Some who are more impatient go for the more direct, stick the marshmallow into open flame and quickly produce a crispy, charred cube approach. Some people have no intention of actually eating the marshmallow and just like to watch it burn and drop into the flames. And some people forget about the marshmallow and go directly to feasting on the Hershey’s chocolate. But today we’re in the S’mores aftermath zone — and as good as they are as part of S’mores, the component parts are pretty tempting in isolation, too. I find graham crackers and a glass of cold milk to be pretty irresistible.